That asymmetry between electricity and magnetism is puzzling, because electricity and magnetism are so interlinked. 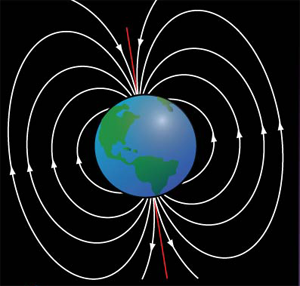 Consider solenoids: electric currents (i.e., moving electrons) produce magnetic fields. Consider electric generators: moving a magnet induces an electric current in a nearby wire. If you share some of my fascination with this unexpected asymmetry, check out "The Hunt for the Magnetic Monopole." The article deals mostly with a curious sort of particle, a quasi particle, of an ilk with the "holes" of modern electronics. To a physicist or an electrical engineer, a hole is a vacancy where ordinarily an electron would be found. Every diode and transistor in every gadget you use exploits such holes moving about properly prepared silicon (or another semiconducting material). Just as the one quasi particle can be so useful, the article's subtitle suggests that "If magnets don’t have to have two poles, it could lead to an entirely new class of devices." Here's the best part: magnetic monopole quasi particles have been shown to exist. Here's something else cool (even when it's warming): "Smart Windows Get Smarter, Can Now Control Light and Heat Independently." Imagine windows that can turn visible light into infrared light (heat waves) as needed -- or (when additional heat isn't helpful) can turn visible light into electricity to run your a/c. Okay, we've looked forward to a couple of neat possibilities. For a fun -- and educational -- look back, check out (from the BBC) an amazing four-and-a-half-minute history of modern physics." I suspect that is because electrons and protons don't have individual plus/minus poles ... so they can't hook up in series as individuals. Lacking any proper sense of diversity they segregate to opposite sides of their magnets, and attempts to shorten the magnets fail to dissuade them. Curious since once they have segregated they forever want to get back with their opposites ... but as a group not as individuals.